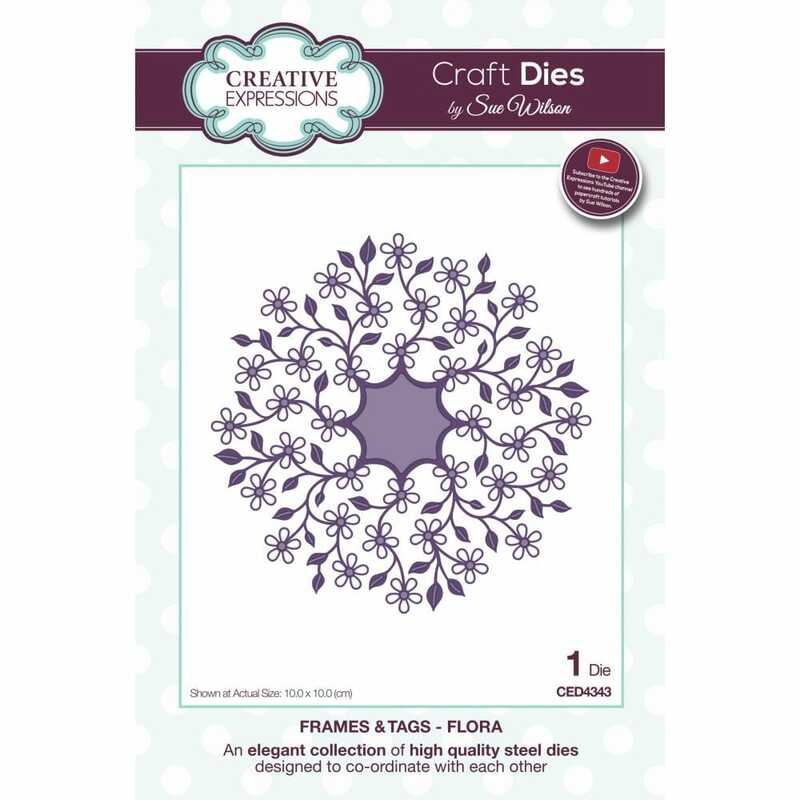 This flora die creates a beautiful background or frame of flowers and leaves that will add a nice floral touch to any paper project. Craft Dies by Sue Wilson are part of an elegant collection of high quality steel dies designed to coordinate with each other. Includes 1 die.3.9 x 3.9.